"Jamhuri ya Muungano wa Tanzania" (The United Republic of Tanzania) is currently home to three SOS Children’s Villages. The organization has been active in Tanzania since the former president of Zanzibar, Ali Hassan Mwinyi, approached Hermann Gmeiner in 1984, requesting that an SOS Children’s Village should be built in his country. In 1991, the first children were able to move into their newly built homes. At present there are three SOS Children's Villages, two SOS Youth Facilities, three SOS Kindergartens, two SOS Hermann Gmeiner Schools, four SOS Social Centres and two SOS Medical Centres in Tanzania. As for now, there are four SOS Children’s Villages in Tanzania. They include SOS Youth Programs, a number of SOS Kindergartens, SOS Hermann Gmeiner Schools, SOS Social Centres and two SOS Medical Centres. In cooperation with local agencies, our organization runs family strengthening programs to allow families to effectively care for their children. The support we provide varies according to the local needs but includes: food packages, basic vocational training, income generating projects, and legal advice and assistance. When children can no longer stay with their families, they are cared for by their SOS mothers in one of the SOS families. SOS Children’s Villages is located in Arusha, Dar es Salaam, Mwanza and Zanzibar. Since the island of Zanzibar has its own directly-elected president, the organization is working with two local legal bodies in Tanzania. SOS relies on the kindness and generosity of Canadians to be able to provide a home for the most vulnerable children of Tanzania. Please help us ensure a loving home for every Tanzanian child. Sponsor a child in Tanzania now. Your donation will help change an orphaned or abandoned child's life. The United Republic of Tanzania is a country situated in Eastern Africa. 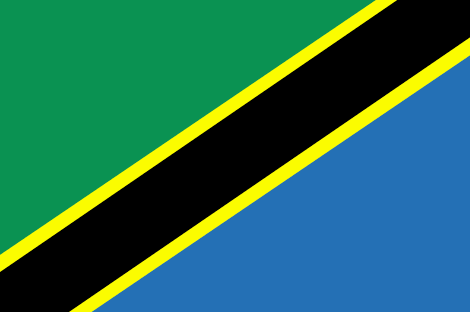 The 26 regions that Tanzania is made up of include those of the autonomous region of Zanzibar. Tourism has come to play an increasingly vital role in Tanzania’s economy. However, it is still mainly based on the agricultural sector where more than 80 per cent of the work force is employed. Tanzania has a total population of 43 million and its capital city is Dodoma. The official and most widely spoken language is Swahili. The UN Human Development Report shows that Tanzania has made marginal steps forward in terms of human development, ranking 148th out of 169 countries in the Human Development Index (HDI). However, Tanzania remains one of the poorest nations in the world. About 40 per cent of the country’s population have to eke out a living on less than one US dollar a day. Although the economic growth rate is one of the highest in Sub-Saharan Africa, millions of Tanzanians find themselves caught on the bottom steps of the socio-economic ladder. Africa accounts for only one tenth of the global population but for nine out of ten new cases of HIV infections. At 5.6 per cent, Tanzania is marked by a comparatively high HIV prevalence rate. Approximately 1,200,000 Tanzanians are living with HIV/AIDS and 160,000 of them are children under 14 years of age. The HIV/AIDS pandemic is therefore considered one of Tanzania’s most striking health problems. It deeply hinders socio-economic development in the country. The disease affects the food security of thousands of families, particularly in rural settings. When the head of the family falls ill, other family members – often young children – have to engage in labour activities so that they can help their family survive. At 96.5 per 1,000 live births, the infant mortality rate for Tanzania is one of the highest in the world. Most child deaths are caused by HIV/AIDS, malaria, diarrhoea, pneumonia, malnutrition and complications associated with low birth weight. Only around half of all births are attended by skilled medical staff. In Tanzania, an estimated 1,300,000 children are orphans due to HIV. They have lost either one or both of their parents because of the disease. 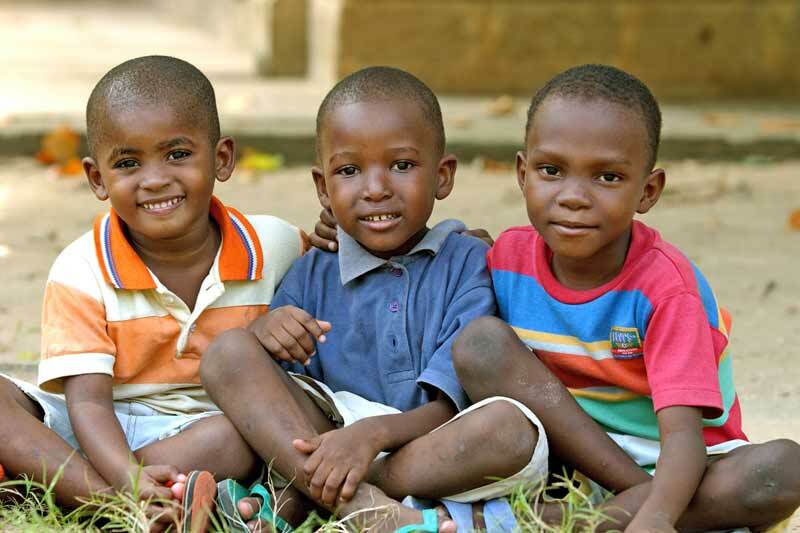 Due to AIDS, the number of child-headed households in Tanzania has increased significantly in recent years. Growing up without a family or in a dysfunctional family environment often has serious implications on a child’s mental and physical development. Many orphaned children experience neglect and discrimination. Children who grow up without parental care often do not attend school. The School enrolment ratio in Tanzania has slightly improved over recent years. The combined gross enrolment ratio is now at 57.3 per cent. However, government funding of primary and secondary education is relatively low when compared to many other countries in the region. Nonetheless, Tanzania has been credited for its educational programmes thanks to which the primary school enrolment rate has reached nearly 95 per cent. As education is often seen as the key element for the economic self-sufficiency of a child in the future, raising school enrolment and attendance figures has now become a priority of the Tanzanian government. School drop-out rates are often high due to financial constraints. Many children have to work besides school in order to increase their family’s household income.